Everything Jack White knows, Son House taught him. 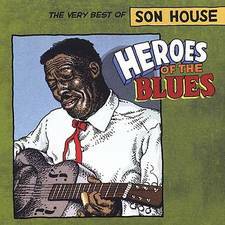 White has extolled the virtues of Delta Blues legend Son House in countless interviews, but that’s not the reason to check him out—there’s the precise, spare guitar picking, the deep well of emotion that emanates from his voice, and most of all there’s that…thing. You know, that thing they call the blues. 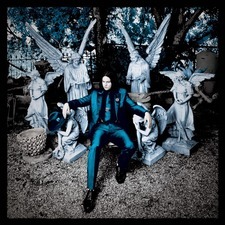 “Lazaretto,” the first single from Jack White’s second solo album earns a place in the history books as the World’s Fastest Record, literally. 7” pressings were handed out to fans on Record Store Day just 3 hours, 55 minutes and 21 seconds after the song was physically recorded. Oh and the album is pretty good too. Neverwhere was a 1996 BBC mini-series, and the novel its companion. The format of the novel allowed Gaiman to expand and elaborate on details that were removed or played down in the TV show, which is a long, nerdy explanation that really should boil down to “Neverwhere is a journey into the unseen world below the London Underground, a journey so fantastic that it will stay with you for a lifetime.” Read this read, read this, read this. In this exciting debut, Lauren Owen sets us on a journey into the heart of Victorian London as a devoted sister embarks on a quest to find her brother, a shy poet who has mysteriously vanished. Culminating in an ancient battle, Owen has woven a remarkable tapestry—at once macabre and grotesque—that’s suspenseful and fantastical. 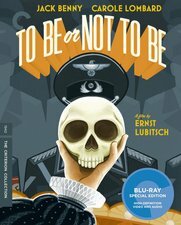 Ernst Lubitsch’s 1942 screwball masterpiece To Be or Not to Be is a movie that cannot be talked about enough. Carole Lombard and comedy legend Jack Benny star as husband-and -wife thespians in Nazi-occupied Warsaw who become entangled in a dangerous spy plot. It’s a cinematic classic and still a blackly tinged joy to behold. Whether you know him as the king of quirk or a cinematic genius or that guy with the movies with the jangly music in them, Wes Anderson is unique. The Grand Budapest Hotel is edging close to the Royal Tenenbaums as his most commercially successful movie to date, and there’s a lot to love about this hilarious homage to ’40s screwball comedy.